Dixon writes that for F.W. 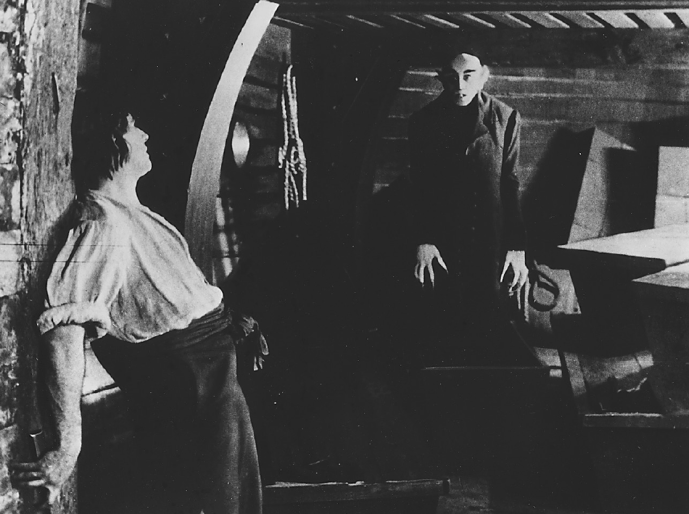 Murnau’s “Nosferatu, eine Symphonie des Grauens” 1922), director of photography Fritz Arno Wagner achieved “an almost three-dimensional feel” with judicious lighting and placing of objects in foregrounds and backgrounds. In a book that is at once a lament and a celebration, Wheeler Winston Dixon surveys the rise and fall of a great film art in Black and White Cinema: A Short History. Set to appear in November 2015 from Rutgers University Press, it describes a range of styles of black-and-white film art, and how they arose to create the distinctive looks of Hollywood romances, gangster dramas, films noirs, and other styles. 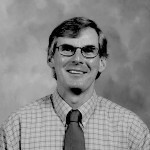 But Dixon, a film historian and theoretician at the University of Nebraska at Lincoln, where he coordinates the film studies program, is also a seasoned filmmaker, and that provides him with a keen eye for how black-and-white film was made. 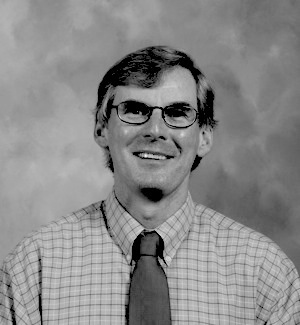 He is the author or editor of numerous books, including A Short History of Film (2nd edition 2013; with Gwendolyn Audrey Foster); Streaming: Movies, Media, and Instant Access (2013); and Death of the Moguls: The End of Classical Hollywood (2012). In this interview, he explains why black-and-white cinematography will not return, not just because black-and-white film stock is near impossible to acquire, but moreover because the skills and techniques needed to film with it are almost irreversibly moribund. MOVING IMAGE ARCHIVE NEWS: Why do you quote this, from Jonathan Carroll’s The Ghost in Love, as an epigraph to your book? WHEELER WINSTON DIXON: To me black and white is more sensuous. It’s such a transformative act to make a black-and-white film. You are entering an entirely different world, right from the start. It’s so much more of a leap into another universe. 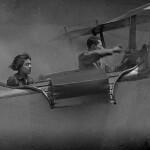 Color films and particularly color 3-D films attempt to mimic some sort of spectacular reality, whereas black-and-white films are really a meditation on the image. It’s a medium that dominated film production up until 1966, as the normative medium in which films were created. Cameramen had the ability to look through the camera and see the world in black-and-white even though what they were seeing on the set was color. As a viewer, you have to accept its completely artificial world, so it requires a bit more of you. I think that’s what the Carroll quotation is about. And in the 1940s you’d go to a film already willing to be transported, wouldn’t you? Absolutely, but I don’t think audiences in the 1940s even thought about it, or the ’50s. Or even the ’60s. They just went to the movies, and expected black and white — it was the way movies looked. A black and white world. So now, shooting in black-and-white is a major artistic commitment. In fact, recent films such as The Artist or Alexander Payne’s Nebraska are really shot in color, and are simply projected in black-and-white. I really do believe the black-and-white cinematography is a lost art. You explain that so-called two-strip Technicolor was used from the 1920s, but that in the early 1930s, the arrival of three-strip Technicolor created a sensation. Was that the death knell of black-and-white filming? I don’t really think so. 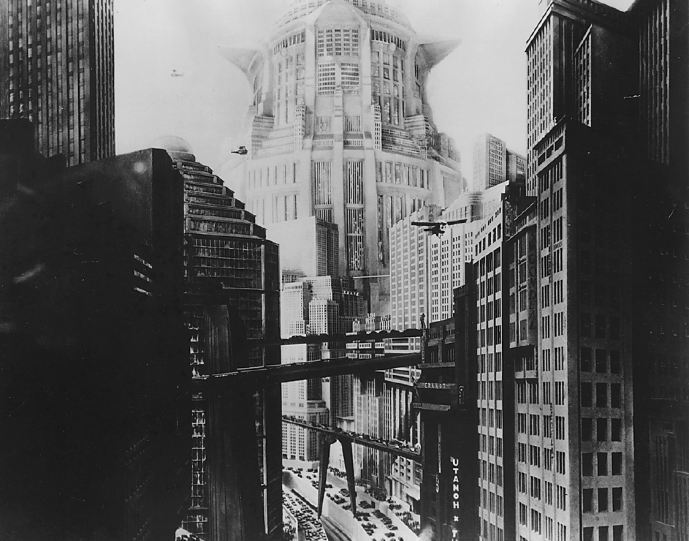 It was sort of a foregone conclusion in the era of three-strip Technicolor that you were typically going to be using black-and-white, unless it was something like The Wizard of Oz or Gone with the Wind or another epic that called for color because of its scope and scale, and the fact that it was a spectacle. Remember that often working in color limited you in ways that black-and-white did not. Technicolor had a lock on the color processes until Eastmancolor came along in the early 1950s. So Technicolor controlled the cameras, the cameramen, the labs — everything had to be done through them. There were only 11 or so Technicolor cameras in Hollywood, so when you worked with Technicolor you also got Natalie Kalmus, the ‘color coordinator,’ and director of photography Ray Rennahan who was their in-house photographer, usually, and they typically wanted the colors to pop off the screen. So, you were freer in black-and-white, freer to do what you wanted to, and to create a world that was much more fantastical. You see that in, for example, Beauty and the Beast  and Henri Alekan’s incredible cinematography in that – it’s why he was picked by Wim Wenders in 1987 to shoot the black-and-white stuff for Wings of Desire; in fact, all of Wings of Desire because he was one of the few people who still knew how to light black-and-white. Then going to color was an artistic compromise? “The incomparably gifted” Freddie Francis, left, on the set of “Room at the Top” (1959). Francis worked his way up from clapper boy in the 1930s to clapper loader to assistant camera operator and then to camera operator on John Huston’s “Moulin Rouge” (1952) and “Beat the Devil” (1953). 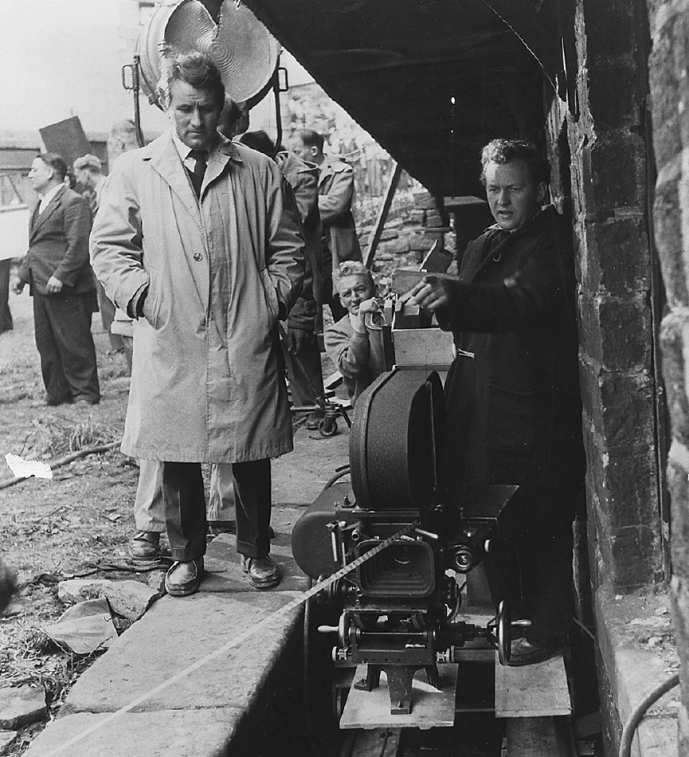 He became one of the most in-demand cinematographers of the British New Wave. I think that what pushed films to be all-color was when television, which was the primary resale market for films, wanted all color, which began in the mid 1950s. With the television-viewing public, and this now goes for Netflix and the other new viewing platforms, each successive generation is less patient than the one before it. People now expect color, they expect the CGI, 3-D, and a sort of slick cleanness to the whole thing. It’s just an all-color, very pop-bright world. Today – this is a sad statistic – 50 percent of viewers, if they’re flipping around the dial, will turn off any black-and-white film instantly; and if you go to silent film, it’s 90 percent. 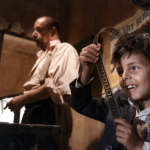 There is a range of artistry in the shooting of color films but what troubles you is the predominance of color, is it? Well, it is the overwhelming only-ness of color. That’s what bothers me the most. Black and white isn’t an option anymore, in most cases. And the lack of attention to black and white? 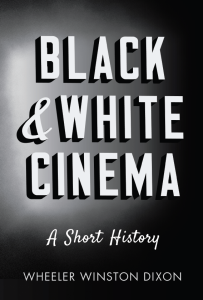 Yes; Black and White Cinema: A Short History is the first book that really covers the whole nearly eighty years of black-and-white cinematography. There have been books about cinematography in general, and there have been plenty of books about color, but there has never really been a survey of this kind that covers the history and impact of black-and-white cinematography from its inception to the mid to late-1960s, when it vanished. You discuss John Alton’s classic 1949 book Painting With Light, and note that he met great resistance from his colleagues. On the set of “From Here to Eternity,” (1953), director Fred Zinnemann, Donna Reed, director of photography Burnett Guffey, Montgomery Clift. Guffey earned two Academy Awards for cinematography during a long career working on widely varied films. But European crews, British crews, they take a much more painterly approach to it. British lighting is different from French lighting and they all have different schools that they come from; but Hollywood crews just want to get an image, to just go for it. In independent film, versus Hollywood, you find more independent thinking, don’t you? Yes. When you get to the more thoughtful, independent films, which probably aren’t going to get much distribution, then you have a greater degree of personal vision. What’s happened to Hollywood film is that it’s totally franchise driven. I’m writing a book now on comic-book movies and I’m finding it very difficult. There’s nothing wrong with comic-book films but they used to be a part of the landscape, and now spectacle films and franchise films dominate the multiplexes. And they are corporate movies. They’re Marvel movies, they’re DC movies, they’re Star Wars movies which Disney now owns. There’s an emptiness to them because no one person is in charge. There’s a corporate vision which is designed to get to the bottom line. If you want to spend a couple of hours watching something like the late Mission Impossible movie or the forthcoming Star Wars — The Force Awakens, or whatever — have a good time, but there’s not much going on there. One of the greatest quotes I ever heard about that is from Stan Lee who’s the head of Marvel Comics, who said that comic fans don’t want change; they want the illusion of change. That’s really very important because what all these movies are, they’re: Here’s the good guy, here’s the bad buy, titanic battles… Good guys win. But in fact, nothing’s really happened; nothing’s really changed. The complete prints and advertising budget of the new Star Wars film is… get ready for this… this is an actual figure… $453-million. That’s how much they’re spending on the new Star Wars film for not only production, but for prints and advertising, the whole package, including promotion: $453-million. When you get to a figure like that, you have nothing personal, at all. It’s only when you have a film that’s a small, $3-million, $5-million picture that you really get interesting ideas, and that’s just a simple function of the industry. “To Have And Have Not” (1944, director Howard Hawks). Director of photography Sid Hickox shot 163 films and television episodes so well that “it’s thoroughly astounding that he hasn’t received more recognition,” writes Dixon. Is one lesson of the demise of black and white, then, that money won by pandering to easy mass-audience acceptance? Money wins, and also Netflix wins, because now what happens is that independent producers are pitching their movies to Netflix, because Netflix is now worldwide. Netflix reverse engineers the films: they get the scripts and say ‘We want this, we don’t want this.’ It used to be that when you made an independent film you’d sell it around the world, territory by territory, but that’s all gone because theatrical is gone. But to shift gears…one of the things I really wanted to do with this book was to celebrate the fantastic cinematographers that we have forgotten, but also to give them the credit that they deserve as the co-creators of the films along with the directors. 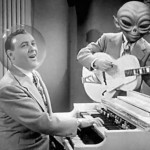 An Alfred Hitchcock film with Joseph Valentine at Universal is very different from an Alfred Hitchcock film, say, Psycho with Jack Russell who shot that and was nominated for an Academy Award but lost to Freddie Francis. 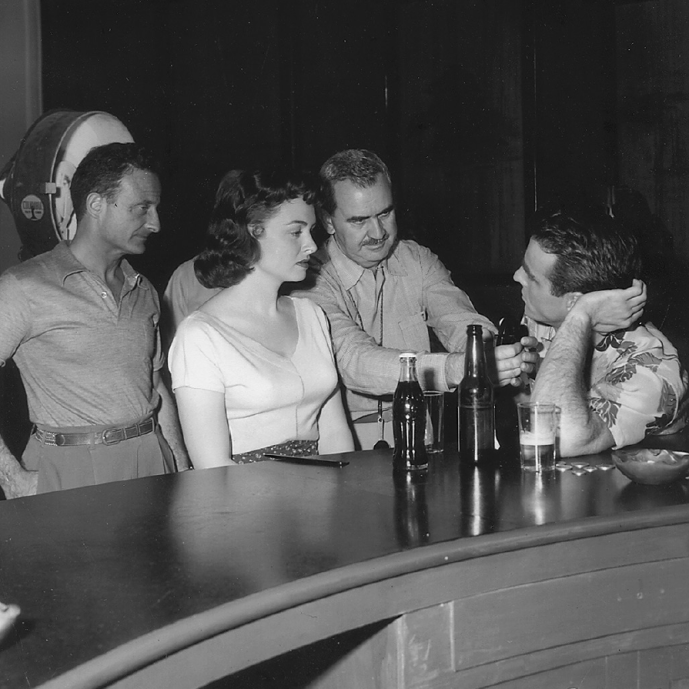 Or Nick Musuraca, for example, one of my favorite cameramen, at RKO in the 40s. Another thing that was astonishing to me as I worked on the book is that today if a cameraman racks up say 40 credits, maybe 80 tops, that’s really a substantial career. Every time I scratch the surface of one of these early cameramen, they had 250 movies to their credit. Going back to the dawn of cinema, I discovered a phantom figure who only a few people know about, named Arthur Marvin. He’s the guy who taught Billy Bitzer, who was D.W. Griffiths’ cameraman. Marvin was born in 1859; he started making films in 1897, two years after the Lumières start; he dies in 1911; and in that time he shot more than 400 short films, one-reelers. You find these figures who don’t get credit, who are in the back; and you also get directors who are more than willing to take the credit. Only a very few smart cameramen were able to promote themselves… people like Gregg Toland, who would tell William Wyler I’m not going to do that shot and walk off the set. And then of course he taught Gabriel Figueroa, the fantastic Mexican cinematographer, to do the same thing. 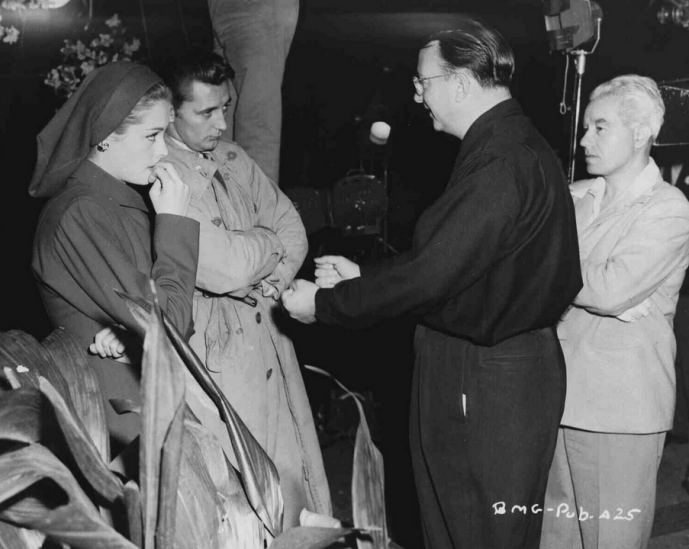 Jane Greer and Robert Mitchum on the set of “Out of the Past” (1947) with director Jacques Tourneur and director of photography Nicholas Musuraca, “easily one of the most underappreciated directors of photography in American cinema history,” writes Dixon. 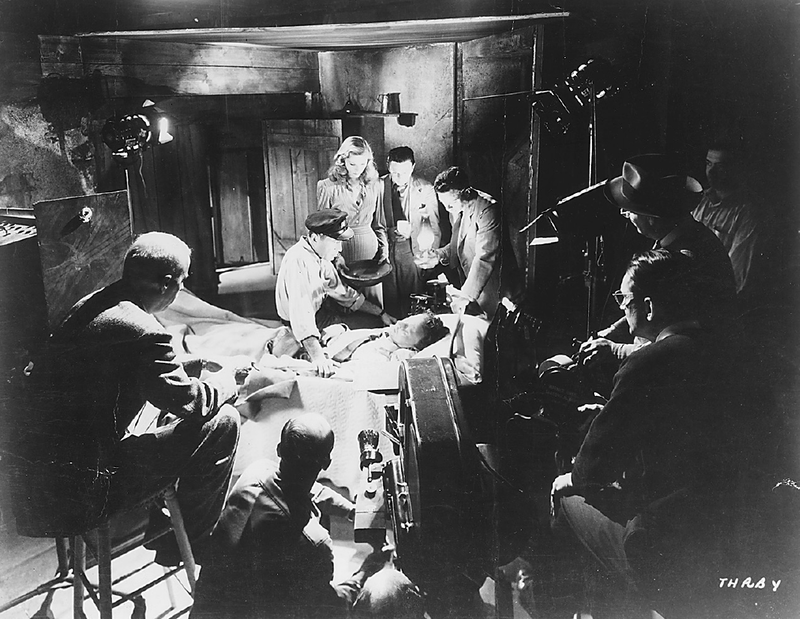 John Ford, when he shot a film in Mexico with Gabriel Figueroa, The Fugitive, in 1947, they said to John Ford, you’ll like this guy, he’s a great cinematographer but you’re going to have to let him pick his own set-ups, because he will not do what you want to do. And Ford was very… shall we say, dictatorial. But he was amused, and he let him do it. So one of the things I wanted to do was to bring these people back into the public eye, to acknowledge their incredible contributions, and the fact that literally every film is a different case. 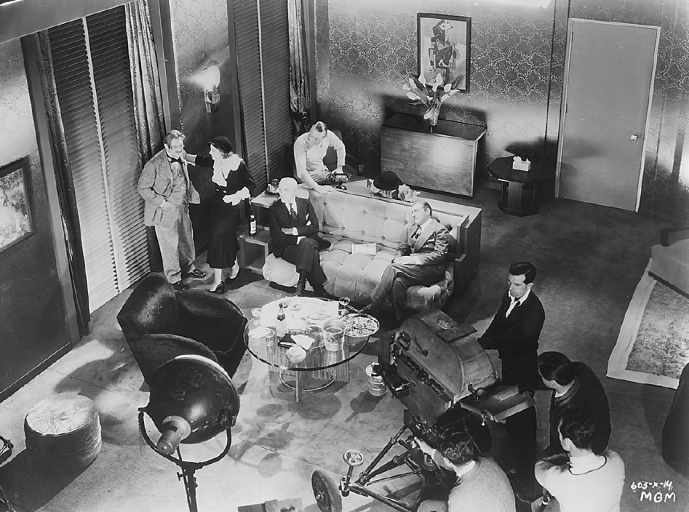 Some directors worked with the same cameraman every time; for example, Frank Capra often worked with Joseph Walker and he left everything to Walker in terms of the shooting, the camera, he never really had any input, at all. Someone like Hitchcock storyboarded everything, but then left a lot to the cameraman. There was artistry in black and white and there’s artistry is color, even if it’s more often subservient to other interests. No? Well, the artistry in color, as Jonathan Miller once said, in a lecture in 1968 that I was lucky enough to attend, it’s easy. A lot of cameramen have said that you can just get anybody off the street to shoot color because it more or less does itself. The image is there in front of you, and you look through the lens, and if you have the proper exposure and the proper lighting, it’s pretty simple. You can do simple lighting setups. You will get the image you desire. What interested me the most is that black-and-white filming is a lost art form, and it’s not coming back. I simply don’t see a resurgence. … It’s not so much that I want to feel bad about it. I simply wanted to acknowledge the value of it, the enormous contributions of it, and to celebrate it, so that people would know that these films are out there, and look for them. I thank Turner Classic Movies enormously, because they’re the number one purveyor of black and white cinema in the world. What became of Turner’s 1980s colorization of film? I don’t think anybody colorizes movies, any more. It never really worked. Turner, of course, was always something of a maverick. I remember he talked about colorizing Citizen Kane, and was saying ‘I own the rights, so what the hell.’ If you’ve ever seen some of the ones he colorized… He colorized White Heat, a Jimmy Cagney film… Disaster! It just doesn’t work. Are those ever shown on television? No, they’re not. They’ve been so decisively rejected by audiences, as being synthetic. Interestingly enough, when Gus van Sant did his color remake of Psycho, a shot-for-shot remake that was photographed by Chris Doyle, who is the great cinematographer who shot lots of films for Wong Kar-wai, which is an odd choice… It’s not a good film, at all, but the reasoning behind that was that Universal thought ‘Here’s a big Hitchcock film, but it’s in black and white; let’s remake it, and if it works in color, then we’ll remake all the other black and whites. But in fact it failed so miserably, the black and white was so essential, they just dropped the whole project. Dixon calls Karl Freund, the director of photography for Fritz Lang’s Metropolis (1927), is “a particularly instructive case study”of the many European cameramen who came to the United States with considered aesthetic practices that they eventually compromised in more pragmatic Hollywood. 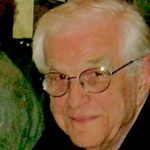 He shot “Dracula” (1931), supervised the filming of “The Mummy” (1932), won a cinematography Oscar for MGM’s “conventionally epic” “The Good Earth” (1937), and in 1950 designed the still-used “three-camera sitcom system of photography” for “I Love Lucy,” But during all that, he “acquiesced almost entirely to the regularized overhead grid lighting that was MGM’s distinctive visual trademark,” writes Dixon. When we see a really good restoration of a film from the black-and-white era, and see it projected well, on a big screen, it’s almost shocking to be reminded of what it was that the original audiences saw. Whenever I run something like The Big Sleep or I Walk with a Zombie on a big screen, I always tell the students, ‘these were the proportions in which the film was designed.’ When you see it on television, it just doesn’t shimmer off the screen in waves of wonder the way that it does when you see it on a huge screen. I was lucky enough to attend a screening of The Day the Earth Caught Fire in 35mm where its director Val Guest was present, in Los Angeles shortly before his death. We all sat there watching it projected in Scope, on a screen, enormously, by union projectionists who were really on top of it, and the experience was overwhelming. It just popped out of the screen. It really gave an image of the earth skittering closer and closer to the sun, and that’s the whole premise of the film, of course. Roy Ward Baker, who made the great film about the Titanic, A Night to Remember, was a friend of mine, and I did a long interview with him and he said something to me that I’ll never forget: On a DVD, or on a television, you can inspect the film but you can’t experience it. Well, not only that, but a more disturbing recent development is that DVDs are going away. DVDs are being replaced by HD downloads, by what they’re calling EST – electronic sell-through. For example, there’s a beautiful film by Denis Coté, who is a Canadian filmmaker, Joy of Man’s Desiring, a beautiful film, but it’s not on a DVD, it’s only a digital download. If you go on Amazon and you see some great black-and-white film, and it’s going for $3, or any kind of foreign or obscure film, buy it, because it’s going out of print, and they’re not going to put them back into print. With VHS, everything came out, everything. And then they looked at what sold, and what didn’t sell didn’t make the jump to DVDs. There were thousands of films, tens of thousands of films, that were on VHS and never made the jump to DVD. Important films. Now that we’re going to Blu-ray, lots of films aren’t making that jump. And then there’s electronic sell-through. If you download something, you’re not going to put it on your computer because it takes up too much space, so you’re going to have to put it up on ‘the cloud,’ and then you’re going to have to pay to store what you ostensibly own. The studios want to control the whole thing. There’s a great book by Tim Wu called The Master Switch, from a phrase by Adolph Zukor, the head of Paramount, who said everybody wants that master switch. Not good news for theaters. But left to their own devices, they’ll cheerfully watch it on YouTube. I can’t do that. It’s bizarre that we go see a film where we live, and the projection may be computer-controlled from some other part of the world. Theaters even do downloads from the National Theater in London, and they take those off a satellite. But even if it comes in a little orange suitcase, in a DCP [Digital Cinema Package], you have to unlock it with a KDM — a Key Delivery Message. 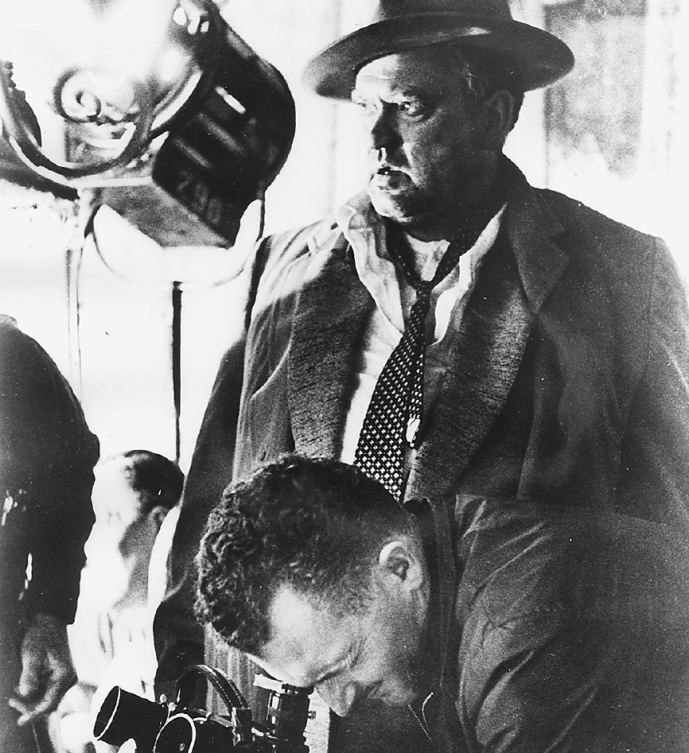 “Touch of Evil,” (1958), director Orson Welles with director of photography Russell Metty, whose career would take in 160 films, from low budget to major projects including Welles’s “The Stranger” and Michael Gordon’s “The Lady Gambles,” and in Welles’s final Hollywood film, “Touch of Evil,” contributed “some of his finest, darkest, and most monochrome cinematography,” Dixon says. Well, now it’s happened. They’re cognizant of every single screening of a film that you do, and the studio has to agree to everything. It’s just hypercontrol, and the studios’ fondest dream. It’s Fahrenheit 451 — a brigade is dispatched. But all of that being true, I strove to make my book positive and optimistic. 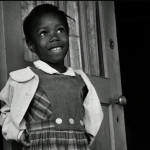 When I run really important black-and-white films, in my classes, students are routinely astonished. Take a warhorse like Citizen Kane which I have seen so many hundreds of times. When I’m teaching an intro film-history class in the fall, and I’m running it, and for me every single frame is memorized, so I’m just looking at it, really, and I’m talking through it and telling them how the shots are, and I get up and walk to the front of the room, and look back at the students, and there’s about 70 of them there. And they’re all stunned. They’re all completely stunned. They’ve never seen a black-and-white film on a big screen. Or I run something like Persona, that Sven Nykvist shot. Or any of the Raoul Coutard films of Jean-Luc Godard. Or La Dolce Vita, which was gorgeously shot in black and white, but now, they’re going to do a remake in color. It just won’t work. But the originals still have enormous impact.